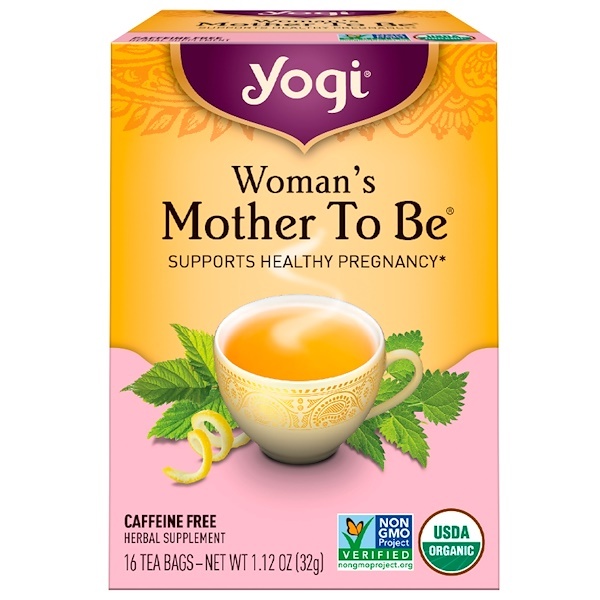 This herbal blend includes Raspberry Leaf, traditionally used for centuries by midwives and Western herbalists to support the female system. 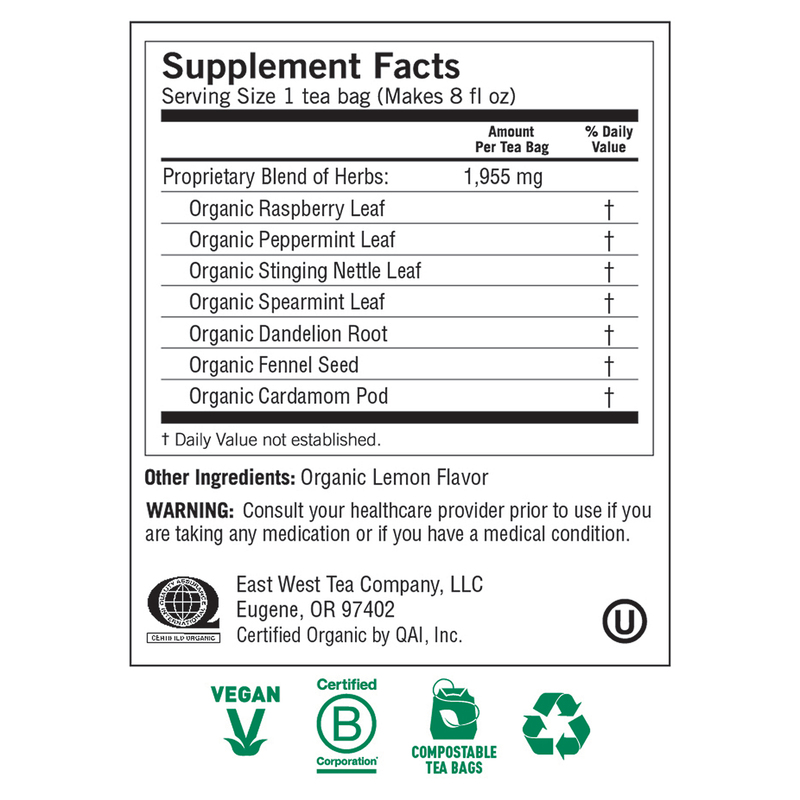 Refreshing Spearmint, Peppermint and Fennel add bright and intriguing flavor. Relax and enjoy this special time with a cup of our soothing Woman's Mother to Be tea. 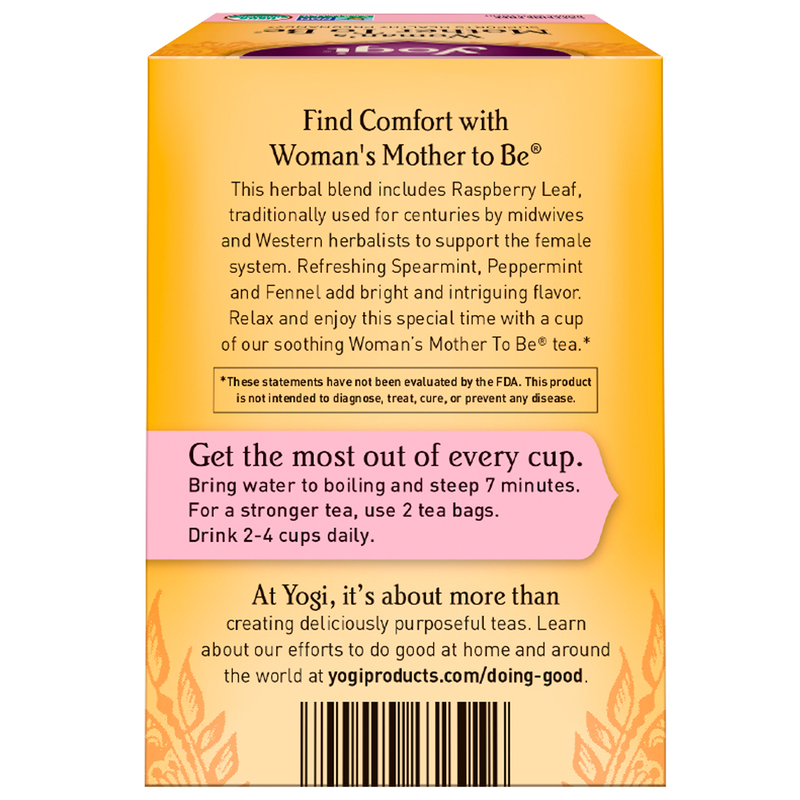 At Yogi, it's about more than creating deliciously purposeful teas. Get the most out of every cup. Bring water to boiling and steep 7 minutes. For a stronger tea, use 2 tea bags. Drink 2-4 cups daily. Consult your healthcare provider prior to use if you are taking any medication or if you have a medical condition.